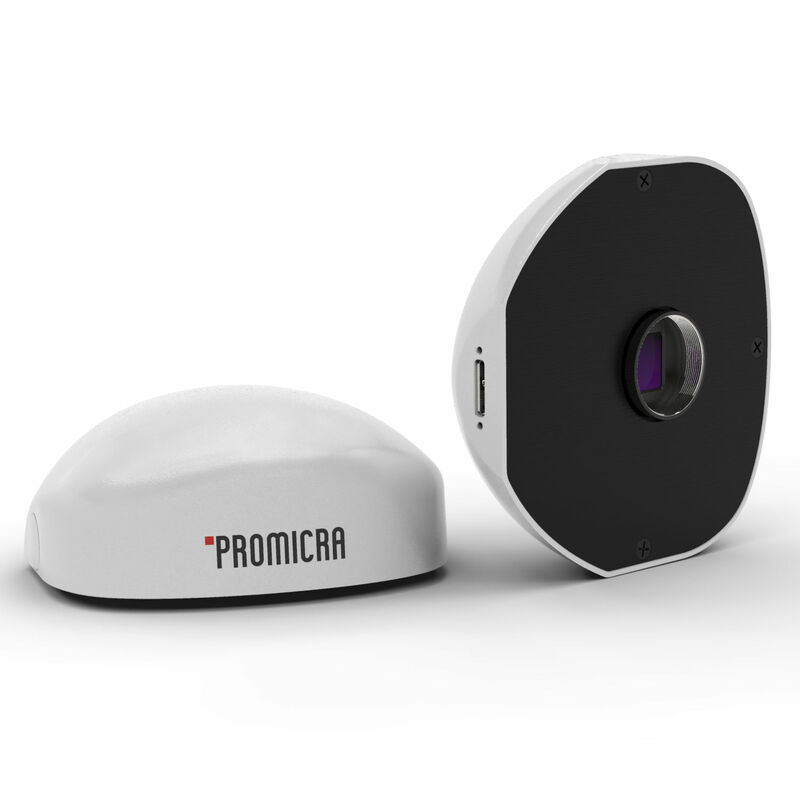 PROMICAM 3-5CP color microscope camera with 5 MP resolution is a viable alternative to CCD cameras. Used Sony® Pregius® CMOS sensor exceeds CCD technology in several parameters. Sensor with 2/3" diagonal provides large field of view, high image quality, sensitivity and dynamic range as well as low noise and excellent color reproduction. Furthermore, the sensor uses global shutter, which enables observation of fast moving objects without image distortion. Live view frame rate in full 5 MP resolution reaches up to 23 fps, which exceeds maximal frame rate of 5 MP CCD cameras. The camera is supported by QuickPHOTO programs.